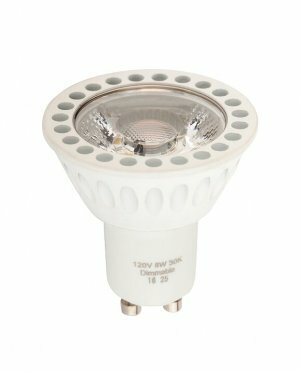 The MR16 GU10 base series LED light integrates a set of COB LED light sources into an MR16 GU10 base tracking or cabin lighting. This product is the ideal solution for indoor or outdoor lighting applications such as landscape lighting, deck lighting to reading lights and decretive tracking lighting fixtures. This bulb is highly versatile and offers significant energy savings and environmentally friendly. The light output is with beam selections of 18°, 36° and 60° which is perfect for spot shooting lighting applications. *** 4000K ONLY AVAILABLE IN 36° AND 60° BEAM ANGLES.